การปกครองสาธารณรัฐจีนนั้นสถาปนาขึ้นตามรัฐธรรมนูญและลัทธิไตรราษฎร์ซึ่งระบุว่า สาธารณรัฐจีน "เป็นสาธารณรัฐประชาธิปไตยของประชาชน ปกครองโดยประชาชน และเป็นไปเพื่อประชาชน"
↑ "Taiwan (self-governing island, Asia)". Britannica Online Encyclopedia. 1975-04-05. สืบค้นเมื่อ 2009-05-07. ↑ "The Republic of China Yearbook 2009. Chapter 2 – People and Language". Government Information Office. 2009. สืบค้นเมื่อ 2 May 2010. ↑ "Human Development Indices and Indicators: 2018 Statistical Update" (PDF). United Nations Development Programme. 14 September 2018. OCLC 1061292121. สืบค้นเมื่อ 9 December 2018. ↑ Albert, Eleanor (7 December 2016). "China-Taiwan Relations". Council on Foreign Relations. สืบค้นเมื่อ 30 March 2018. 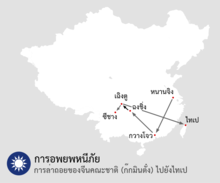 The People’s Republic of China (PRC) views the island as a province, while in Taiwan—a territory with its own democratically elected government—leading political voices have differing views on the island’s status and relations with the mainland. 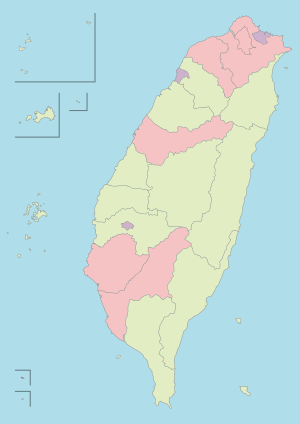 Some observe the principle that there is “one China” comprising the island and the mainland, but in their eyes this is the Republic of China (ROC) based in Taipei; others advocate for a de jure independent Taiwan. 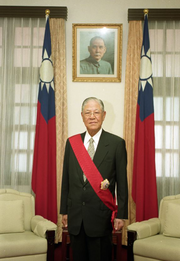 ↑ "Interior minister reaffirms Taipei is ROC's capital". Taipei Times. 5 December 2013. สืบค้นเมื่อ 7 December 2013. ↑ Chan, Rachel (17 June 2009). "Taiwan needs to boost public awareness on climate change: EU envoy". China Post. สืบค้นเมื่อ 2009-07-22. ↑ Wills, John E., Jr. (2006). "The Seventeenth-century Transformation: Taiwan under the Dutch and the Cheng Regime". In Rubinstein, Murray A. Taiwan: A New History. M.E. Sharpe. pp. 84–106. ISBN 978-0-7656-1495-7. ↑ 16.0 16.1 16.2 16.3 16.4 16.5 16.6 16.7 16.8 "Chapter 4: Government" (PDF). The Republic of China Yearbook. Government Information Office, Republic of China (Taiwan). 2011. pp. 55–65. 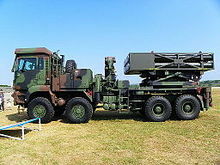 ↑ Huang, Jei-hsuan (14 September 2006). "Letter: KMT holds the key". Taipei Times. p. 8. สืบค้นเมื่อ 28 May 2009. ↑ Chang, Rich (2 January 2006). "Nation keeps death penalty, but reduces executions". Taipei Times. สืบค้นเมื่อ 2 November 2009. 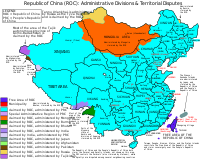 ↑ "Laws & Regulations Database of The Republic of China". law.moj.gov.tw. ↑ "World: Asia-Pacific Analysis: Flashpoint Spratly". BBC. 14 February 1999. ↑ Hwang, Jim (1 October 1999). "Gone with the Times". Taiwan Review. Archived from the original on 26 February 2012. สืบค้นเมื่อ 13 April 2012. ↑ "中華民國國情簡介 政府組織". Taipei: Government Information Office. Archived from the original on 14 May 2012. สืบค้นเมื่อ 13 April 2012. ↑ Fravel, M. Taylor (2002). "Towards Civilian Supremacy: Civil-Military Relations in Taiwans's Democratization". Armed Forces & Society. 29 (1): 57–84. doi:10.1177/0095327X0202900104. ↑ "Committed to Taiwan". The Wall Street Journal. 26 April 2001. สืบค้นเมื่อ 28 May 2009. ↑ Bishop, Mac William (1 January 2004). "Women Take Command". Government Information Office, Republic of China. Archived from the original on 28 April 2011. สืบค้นเมื่อ 5 June 2009. 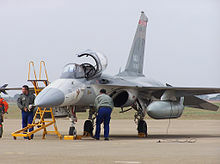 ↑ "ASIA-PACIFIC | Military alternative in Taiwan". BBC News. 1 May 2000. สืบค้นเมื่อ 28 May 2009. 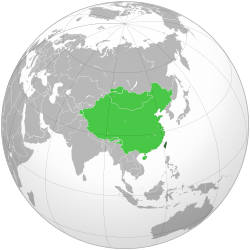 ↑ Constitution of the Republic of China – Chapter II, Article 13: "The people shall have freedom of religious belief." ↑ "Taiwan Yearbook 2006". Government of Information Office. 2006. Archived from the original on 2007-07-08. สืบค้นเมื่อ 2007-09-01. ↑ "2006 Report on International Religious Freedom". U.S. Department of State. 2006. สืบค้นเมื่อ 2007-09-01. "2008 White Paper on Taiwan Industrial Technology" (PDF). Department of Industrial Technology. 2008. สืบค้นเมื่อ 27 November 2009. Bird, Michael I; Hope, Geoffrey; Taylor, David (2004). "Populating PEP II: the dispersal of humans and agriculture through Austral-Asia and Oceania" (PDF). Quaternary International. 118–119: 145–163. doi:10.1016/s1040-6182(03)00135-6. สืบค้นเมื่อ 31 March 2007. Chang, Maukuei (2005). "Chapter 7 : The Movement to Indigenize to Social Sciences in Taiwan: Origin and Predicaments". In Makeham, John; Hsiau, A-chin. Cultural, Ethnic, and Political Nationalism in Contemporary Taiwan: Bentuhua (1 ed.). New York: Palgrave Macmillan. ISBN 9781403970206. Davidson, James W. (1903). The Island of Formosa, Past and Present : history, people, resources, and commercial prospects : tea, camphor, sugar, gold, coal, sulphur, economical plants, and other productions. London and New York: Macmillan. OL 6931635M. Executive Yuan, R.O.C. (2014). The Republic of China Yearbook 2014. ISBN 9789860423020. สืบค้นเมื่อ 25 February 2015. Hsiau, A-Chin (2005). "Chapter 4 : The Indigenization of Taiwanese Literature: Historical Narrative, Strategic Essentialism, and State Violence". In Makeham, John; Hsiau, A-chin. Cultural, Ethnic, and Political Nationalism in Contemporary Taiwan: Bentuhua (1 ed.). New York: Palgrave Macmillan. ISBN 9781403970206. Makinen, Gail E.; Woodward, G. Thomas (1989). "The Taiwanese hyperinflation and stabilization of 1945–1952". Journal of Money, Credit and Banking. 21 (1): 90–105. doi:10.2307/1992580. JSTOR 1992580. Makeham, John (2005). "Chapter 6 : Indigenization Discourse in Taiwanese Confucian Revivalism". In Makeham, John; Hsiau, A-chin. Cultural, Ethnic, and Political Nationalism in Contemporary Taiwan: Bentuhua (1 ed.). New York: Palgrave Macmillan. ISBN 9781403970206. Hill, Catherine; Soares, Pedro; Mormina, Maru; Macaulay, Vincent; Clarke, Dougie; Blumbach, Petya B.; Vizuete-Forster, Matthieu; Forster, Peter; Bulbeck, David; Oppenheimer, Stephen; Richards, Martin (January 2007). "A Mitochondrial Stratigraphy for Island Southeast Asia". The American Journal of Human Genetics. 80 (1): 29–43. doi:10.1086/510412. 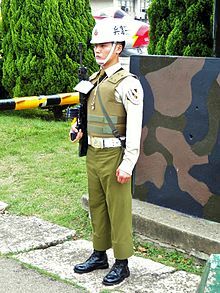 PMC 1876738. PMID 17160892. Valentijn, François (1903) [First published 1724 in Oud en Nieuw Oost-Indiën]. "History of the Dutch Trade". In Campbell, William. Formosa under the Dutch: described from contemporary records, with explanatory notes and a bibliography of the island. London: Kegan Paul. pp. 25–75. OCLC 644323041. Winckler, Edwin (1994). Harrell, Stevan; Huang, Chun-chieh, eds. Cultural Policy in Postwar Taiwan. Cultural Change in Postwar Taiwan ( 10–14 April 1991; Seattle). Boulder, Colo.: Westview Press. ISBN 9780813386324. Yip, June (2004). Envisioning Taiwan: Fiction, Cinema and the Nation in the Cultural Imaginary. Durham, N.C. and London: Duke University Press. ISBN 9780822333579. Clark, Cal; Tan, Alexander C. (2012). 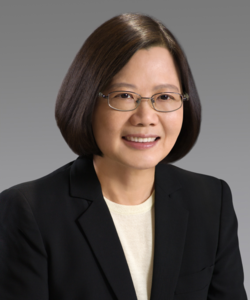 Taiwan's Political Economy: Meeting Challenges, Pursuing Progress. Lynne Rienner Publishers. ISBN 1-588-26806-3. Federation of American Scientists; และคณะ (2006). "Chinese Nuclear Forces and US Nuclear War Planning" (PDF). หน้านี้แก้ไขล่าสุดเมื่อวันที่ 18 เมษายน 2562 เวลา 05:17 น.